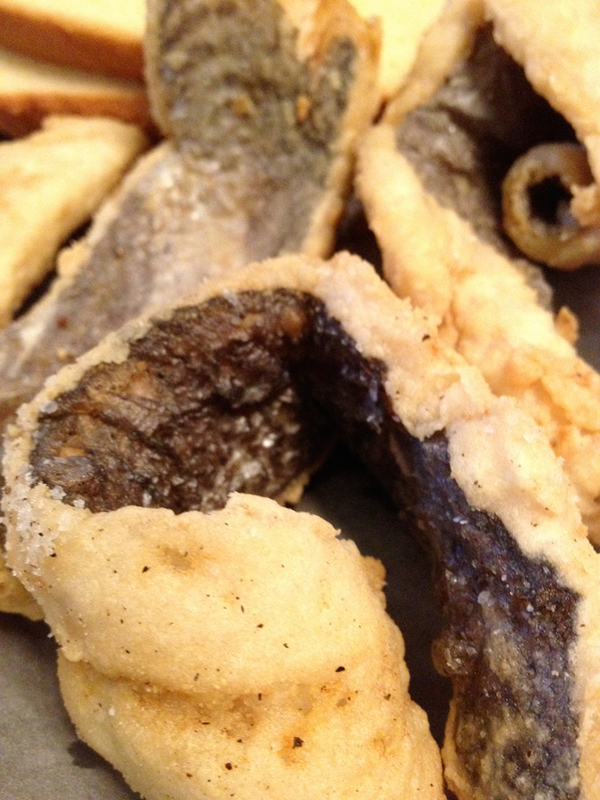 Lake Trout opened this summer meant to mimmic or mock midwestern eateries serving up fried fish. 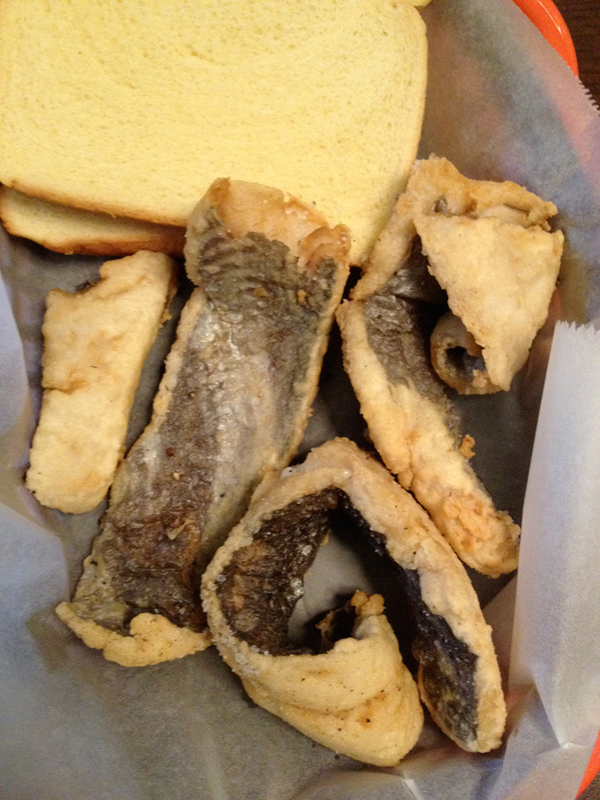 The fried fish are bathed in a salty batter and served with two slices of potato bread. I was excited about this place in no small part because of shout outs from New York Magazine and the local blogarati. The fish was good, but there seemed a lot of fuss for place with a simple menu and a lot of kitch.